Create a new course, bringing everything from the template course into the new course you created. Use it "as-is," or use it as a starting point and make it your own. Import gradebook settings. 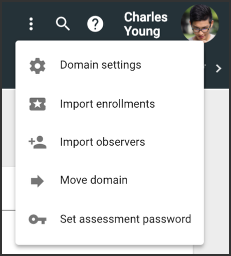 You can pick and choose which gradebook settings you'd like to import and use in a course. 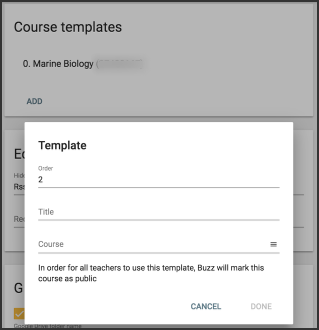 To create a template, you create a course as you would any other, and then Add the template to your domain (see section below). Users don't need a subscription to use templates. The Order of appearance if there are multiple templates ("0" = top placement). 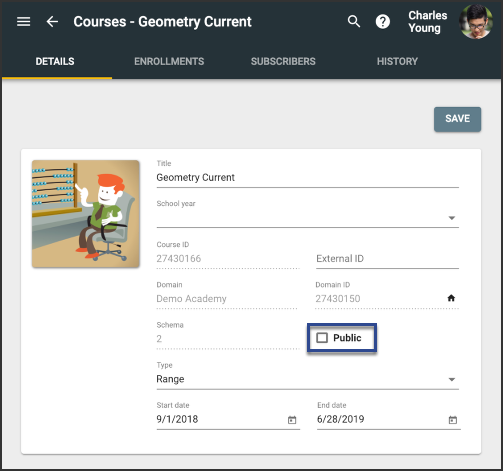 The name and ID of the course you want to use as a template; click the list (browse) icon to choose from available courses.